The new school year is now well into three weeks of instruction already. As a high school teacher, the first few weeks of the school year are an interesting parade of new names and new faces. Students come and go as they decide if they are in the right classes. I have decided that handing out a syllabus on the first few days of the school year is futile. I end up using up half my paper allocated for the semester which in turn results on full garbage cans at the end of the day as students move to other better suited classes for the school year. Nevertheless, it is imperative that students understand and abide by classroom expectations since day one. Otherwise, the school year will become a senseless battle ground to abide by expectations while maintaining sanity and a conducive learning environment. 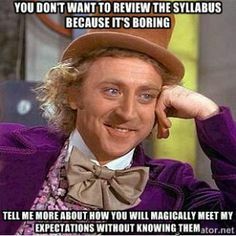 I am on the student side on this one, going over a syllabus is extremely boring...... That is why I needed to do something new. After a few days in class, I handed out the students a copy of my 3 page syllabus. I asked students to read it silently. We went over a few questions and I clarified any concerns. After that. I told them we were going to play Kahoot to review if they understood expectations. 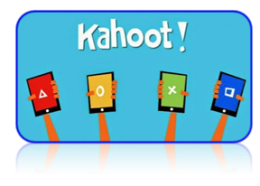 Kahoot is a gamified platform to assess knowledge and understanding in a fun and engaging way. I created my Syllabus Kahoot in a situation like scenario. My question prompt was imaginary scenarios like this one: "Maria was too tired to do her homework last night..... ". For the answers, I created four possible options with only one or two being correct. Example: a) That's ok, Maria can turn in her homework any time (incorrect answer), b) Maria won't be able to turn in her homework because she doesn't have an excused absence (correct answer). I hope you get the idea. Students had to to try to match a situation and possible answer depending on the expectations they had read on the syllabus. I threw a few funny statements in my answers that made students laugh. We had a lot of fun. Students were able to take home a printed copy of the syllabus after a few weeks into the semester and once we knew which students were staying. If you would like to see a sample of my syllabus Kahoot please go to https://getkahoot.com/ . After creating an account or signing in, search on public Kahoots by author and type educatortalk .